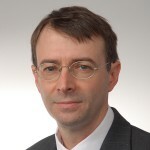 John Glidden Biography | Connecticut Center for Advanced Technology, Inc.
John Glidden joined CCAT in July of 2006 as Chief Financial Officer. He served as vice president of finance and acting chief financial officer for Distributed Energy Systems Corp., a NASDAQ listed alternative energy company, from November 1997 until July 2006. From July 1996 to November 1997, Glidden served as a financial manager for Pratt & Whitney, a division of United Technologies Corp. At Hamilton Standard, also a division of United Technologies, he served as senior financial planning analyst from 1987 to July 1996. Glidden holds a bachelor's degree in business administration from Central Connecticut State University and a master's in international management from Rensselaer Polytechnic Institute.